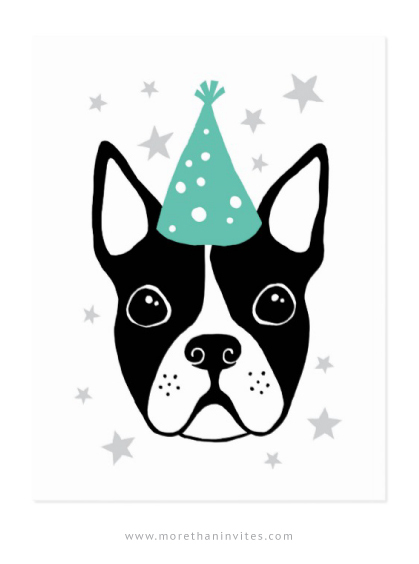 Happy birthday postcard featuring an illustration of a Boston terrier wearing a turquoise aqua blue party hat. The puppy dog is surrounded by silver gray stars. Hand drawn, somewhat whimsical style. Available from Zazzle.